Success! 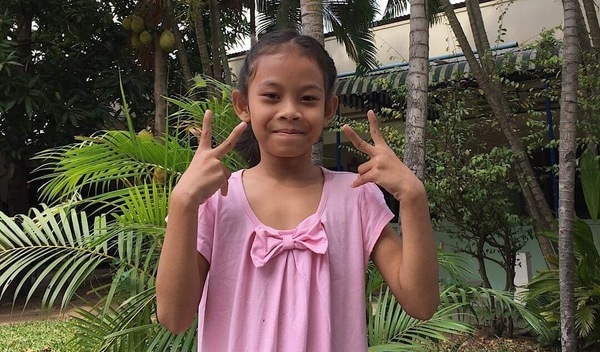 Rida from Cambodia raised $1,500 to fund spinal surgery. Rida's treatment was fully funded on February 14, 2019. Rida’s operation went well. Surgery will improve her quality of life by correcting her spine position and allowing her to sit for long periods of time without discomfort. Surgery is also important to ensure Rida does not further the worsening of the condition. Rida’s mom feels happy that her daughter won’t have to miss any more school. Rida is a girl from Cambodia. She has one brother and one sister. She likes to play with friends, watch TV, and go for walks with her family. She wants to be a banker when she grows up. Rida was born with scoliosis, which is progressing with age, making it difficult to sit in school for long periods, and causing a lot of discomfort. Surgery can help correct the position of her spine, and prevent further worsening of the condition. Spinal surgery is scheduled for January 21 and will cost $1,500. Rida's case was submitted by Lindsay Bownik at Children's Surgical Centre in Cambodia. Rida was submitted by Lindsay Bownik, Stakeholder Relations Officer at Children's Surgical Centre, our medical partner in Cambodia. 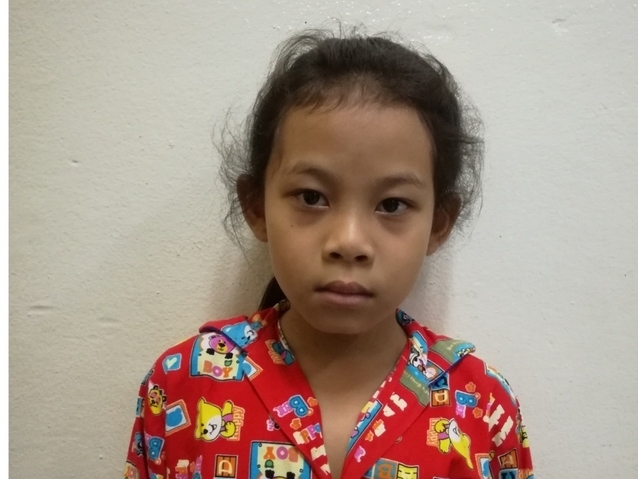 Rida received treatment at Kien Khleang National Rehabilitation Centre. Medical partners often provide care to patients accepted by Watsi before those patients are fully funded, operating under the guarantee that the cost of care will be paid for by donors. Rida's profile was published to start raising funds. Rida's treatment was successful. Read the update. Rida's treatment was fully funded. Patients experiencing severe back pain may also experience fever and chills, unexplained weight loss, sudden bowel and/or bladder incontinence, and severe, continuous abdominal pain. Back pain may be caused by vertebrae, the small bones of the spine. The back conditions for which surgery is recommended include degenerative disk disease, spondylolisthesis, spinal stenosis, scoliosis, fracture, infection, and tumor. Patients with severe back pain experience difficulty walking, sleeping, sitting, riding a motorcycle, working, going to school, and carrying out everyday tasks. If the pain affects a patient's ability to work or go to school, the patient will be unable to earn money to support his or her family or continue his or her education. Patients may experience discomfort and difficulty breathing. Cambodian culture emphasizes the importance of working hard and earning money to support the family. When a patient is unable to work, he or she may feel helpless or may experience financial difficulty. There are several types of spinal surgeries performed to treat back pain: Spinal fusion: This is the most common surgery for back pain and is used to keep the spine stable after injury, infection, or a tumor. The surgeon joins the spinal bones (vertebrae) together. In a spinal fusion for scoliosis, the surgeon attaches rods, hooks, wires, or screws to the curved part of the backbone to straighten and stabilize the spine. Laminectomy: In this procedure, the surgeon removes parts of the bone, bone spurs, or ligaments in the back. This relieves pressure on spinal nerves and can ease pain or weakness. Foraminotomy: The surgeon cuts bone at the sides of the vertebrae to widen the space through which nerves exit the spine, relieving pressure on the nerves and easing pain. Diskectomy: A disk, the cushion that separates the vertebrae, can slip out of place, pressing on a spinal nerve and causing back pain. In a diskectomy, the surgeon removes all or part of the disk to relieve pain. Disk replacement: A surgeon removes the damaged spinal disk and inserts an artificial one between the vertebrae. Interlaminar implant: The surgeon implants a U-shaped device between two vertebrae in the lower back. This device helps keep the space between them open and eases pressure on the spinal nerves. Bone grafting will also be performed to support the spine and stimulate bone healing. The patient will be able to work or go to school without pain. As with any operation, there are potential risks associated with spinal surgery. These include: Infection: Antibiotics are regularly given to the patient before, during, and after surgery to lessen the risk of infection. Bleeding: A certain amount of bleeding is expected, but this is not typically significant. Pain at bone graft site: A small percentage of patients will experience persistent pain at the bone graft site. Recurring symptoms: Some patients may experience a recurrence of their original symptoms. Nerve damage: It is possible that the nerves or blood vessels may be injured during these operations. These complications are very rare. Blood clots: Another uncommon complication is the formation of blood clots in the legs. Spinal surgery is not widely offered in Cambodia, especially for low-income patients who cannot afford treatment. Children's Surgical Centre (CSC) provides this procedure free of charge. Patients travel to CSC by bus, taxi, or motorbike from all over Cambodia. Patients that do not seek a surgical procedure may try exercises and medication. However, these forms of treatment may not be effective. Rwakasigazi is a farmer from Uganda. He is married and a father of six children. For thirty years, Rwakasigazi has had a femoral hernia. If not treated, the hernia may result in intestinal tissue damage or death Fortunately, on April 17, he will undergo hernia repair surgery at our medical partner's care center. Our medical partner, African Mission Healthcare Foundation, is requesting $249 to fund Rwakasigazi's surgery. Once completed, this procedure will hopefully allow him to live more comfortably and confidently. She says, "After surgery I will resume with my activities at home." Aguma is a young student from Uganda. He is the first of three children. Since birth, Aguma has had a hydrocele, which is a swelling in a sensitive area. This hydrocele causes him pain and discomfort. Fortunately, on April 17, he will undergo hydrocele repair surgery at our medical partner's care center. Our medical partner, African Mission Healthcare Foundation, is requesting $185 to fund Aguma's surgery. Once completed, this procedure will hopefully allow him to live more comfortably and confidently.